The proposal is to turn the firestation into 23 flats and a childrens nursery on the ground floor. The fire station built in 1914-15 is a Grade II listed and the building on Norwood Road together with many of its original features will be retained. A new 4-storey block at the back will have 11 flats. The plans have no off-street parking as the site is very close to bus routes and Tulse Hill station. The mix of homes proposed is eleven 1-bedroom flats, ten 2-bedroom flats and two 3-bedroom flats. 8 of the new homes will be affordable. 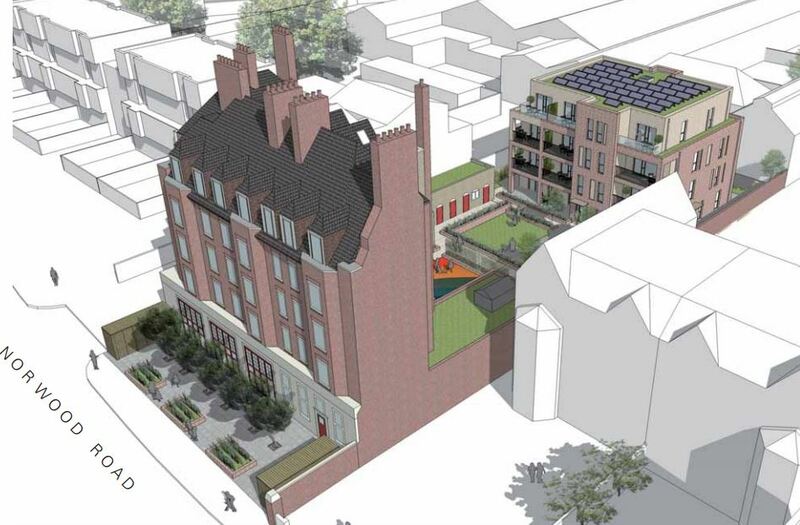 To comment on the plans email planning@lambeth.gov.uk quoting ref 14/04865.